Flockton bypass plans a no-go? DETAILS of a possible village bypass are to be revealed later this month. But plans to build a relief road to take traffic away from Flockton are unlikely to ever move forward. Villagers have been calling for an alternative route for 60 years as HGVs and commuters drive through the village’s narrow lanes to get to the M1 motorway. 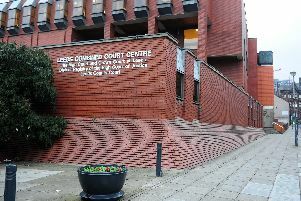 But Kirklees Council has put a price of £12m on the project and says there is no money to pay for it. Coun Adrian Murphy has organised a public meeting in Flockton to discuss the plans. He said: “I’m not sure how they came up with the figure of £12m – I would have thought £6m to £8m. “It’s a relief road which is a totally different thing to the road which was proposed in the 1990s that would have linked the M1 and the M62. Kirklees Highways officers will update villagers at a public meeting at Flockton First School at 7.30pm on Wednesday, January 25. A spokeswoman for Kirklees Council said the village had just been resurfaced and had new street lighting. She added: “A previous public meeting set out the issues around provision of a bypass around Flockton.